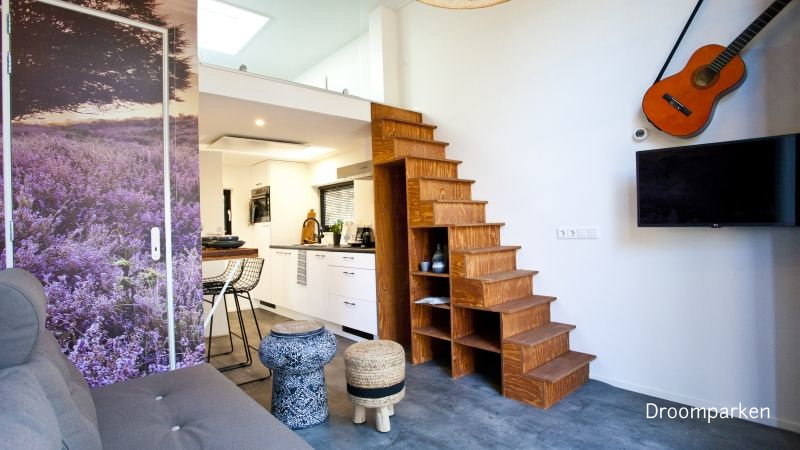 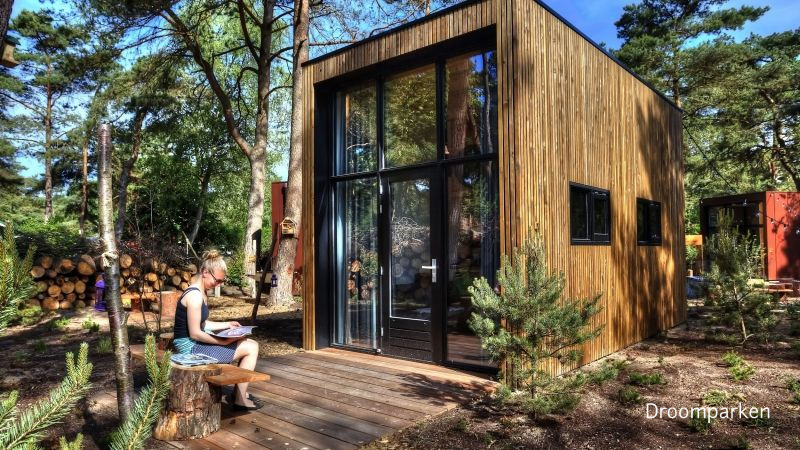 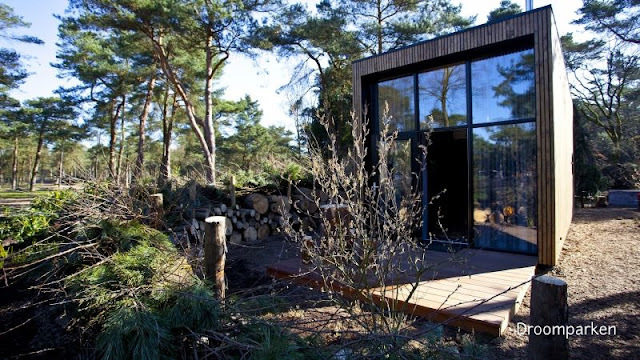 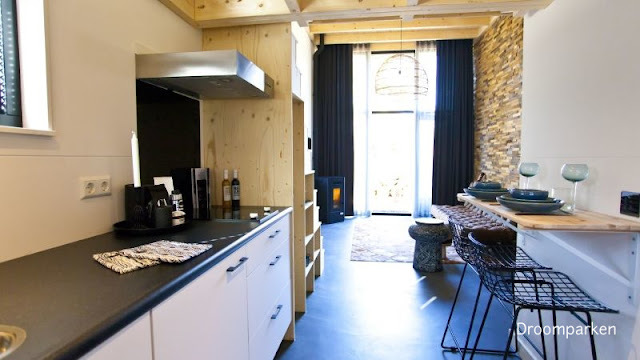 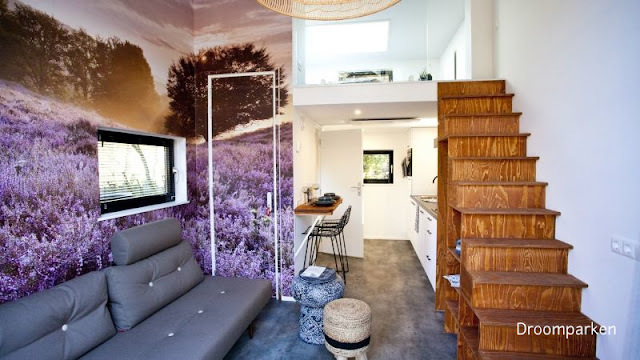 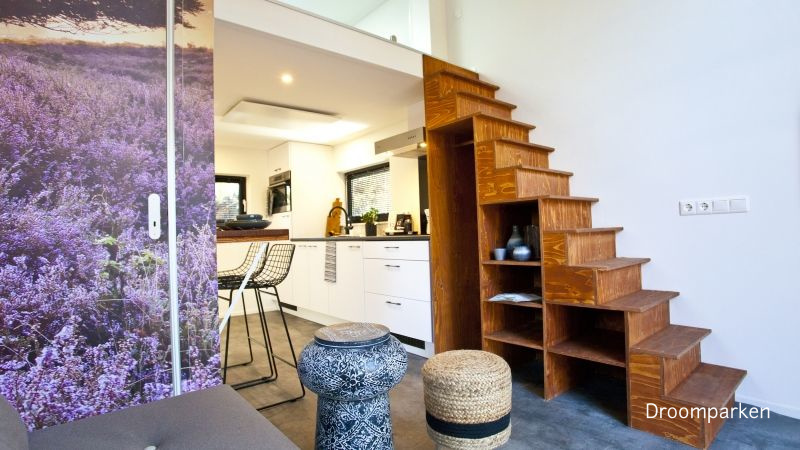 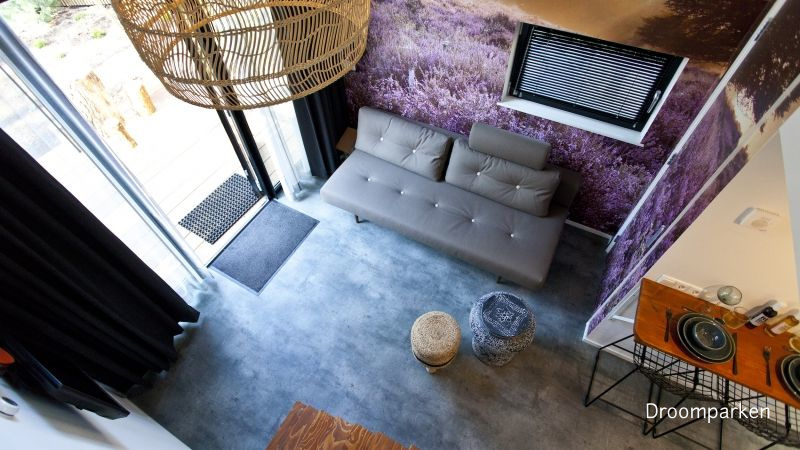 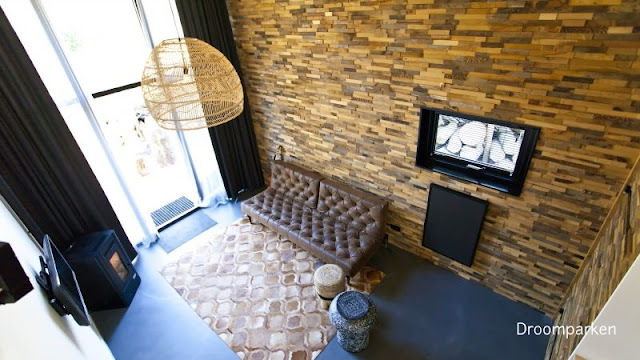 From the Netherlands is this gorgoeus contemporary tiny home named "De Zanding". 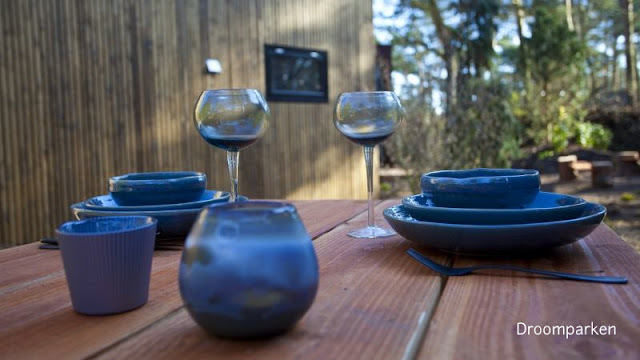 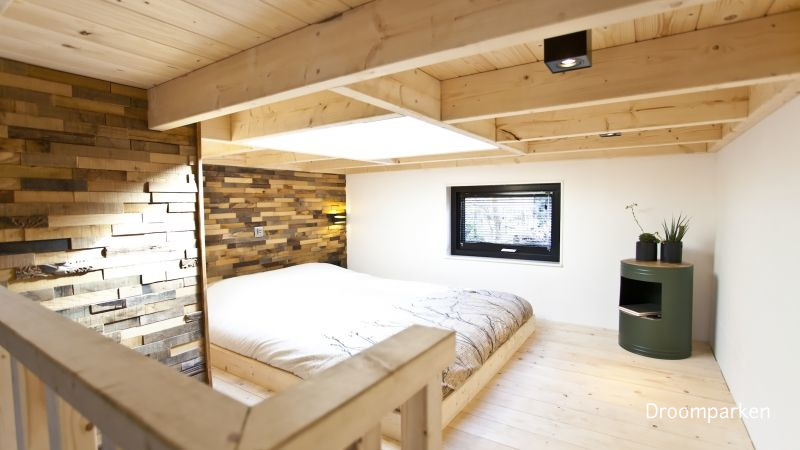 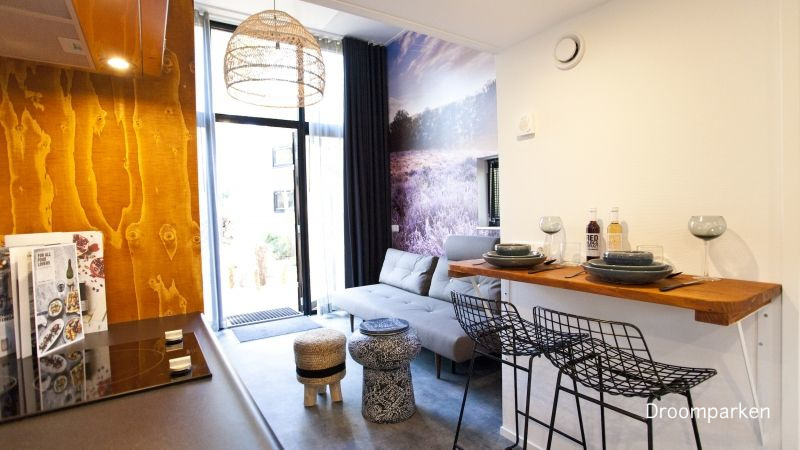 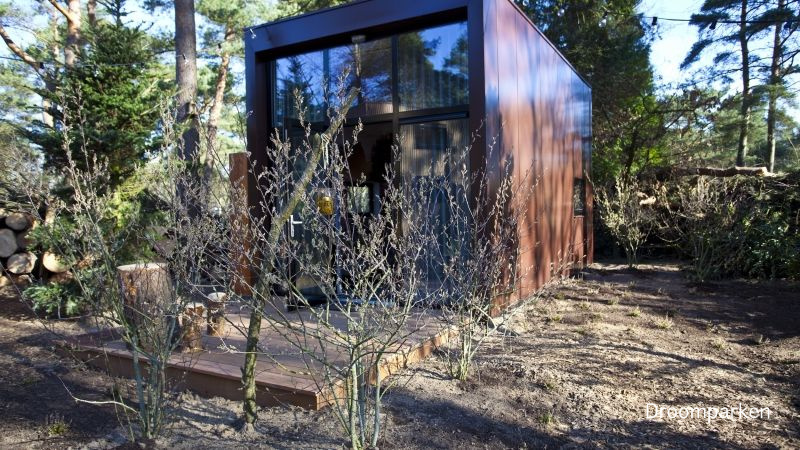 De Zanding is one of several available homes for sale at the Droomparken tiny house resort. 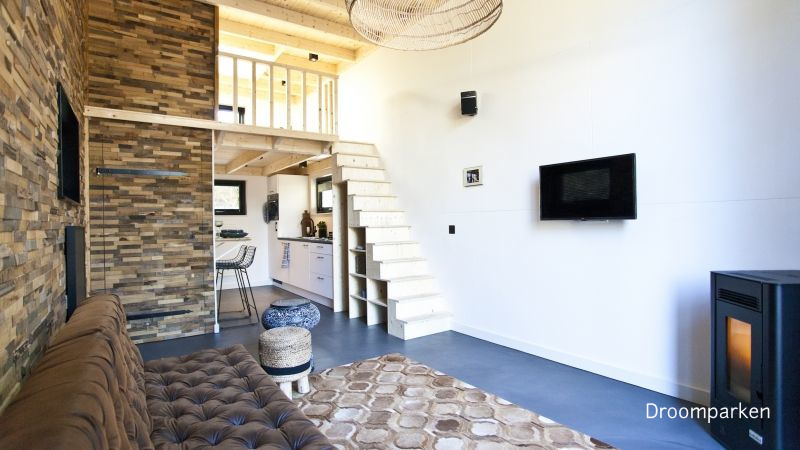 Constructed using eco-friendly materials, it features a bright, open layout with a full kitchen, bathroom, seating area, a sofa bed with room for two, and a loft master bedroom. 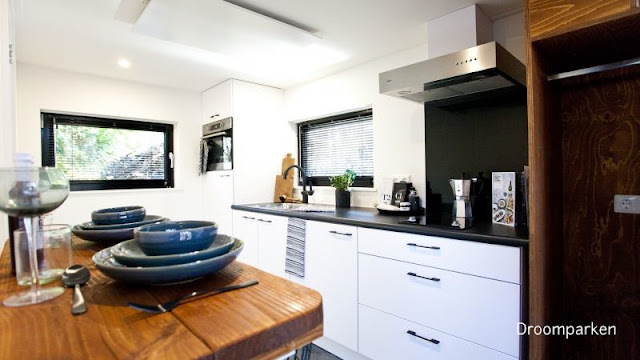 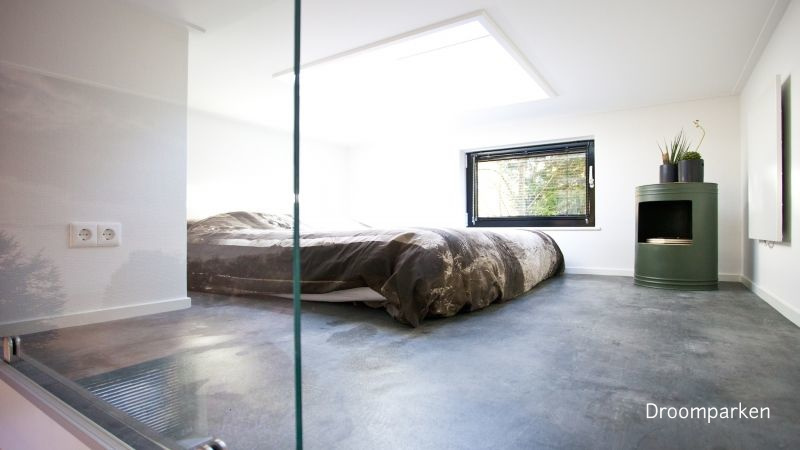 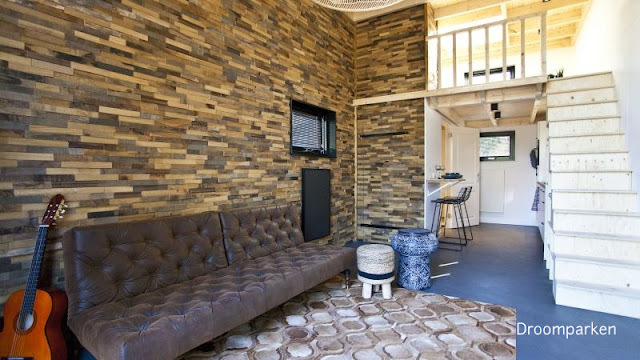 It's also fully electric and borders a shared outdoor courtyard with a BBQ and a hot tub! The De Zanding is currently available for €59,500 (about $69,796 USD). 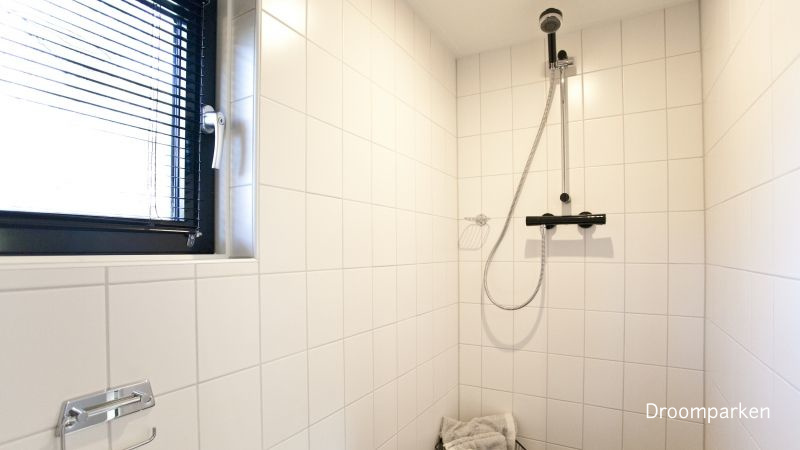 You can see two versions of the same model below!